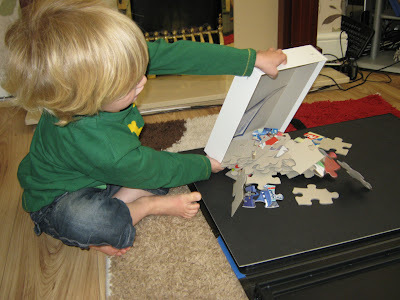 This is me Sarah mum of 3: Puzzling good Fun! and as which we were sent a Disney Pixar Cars, giant Floor puzzle, and Puzzle store board to review. The Puzzle store is an ingenious jigsaw puzzle board, which means you can leave a puzzle mid way through, fold up the puzzle store and pack it away neatly and safely until you want to return to the puzzle. 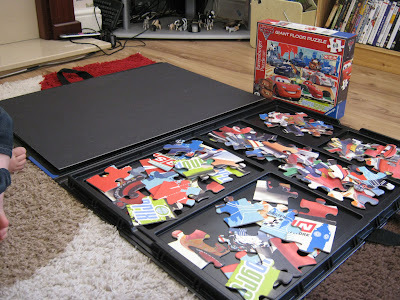 I have been a huge Jigsaw Puzzle fan, and I remember many years ago my Gran buying me a puzzle store, and I loved it. The puzzle store I had however didn't have the additional benefits to store your sorted pieces like the Ravensburger Puzzle Store has. 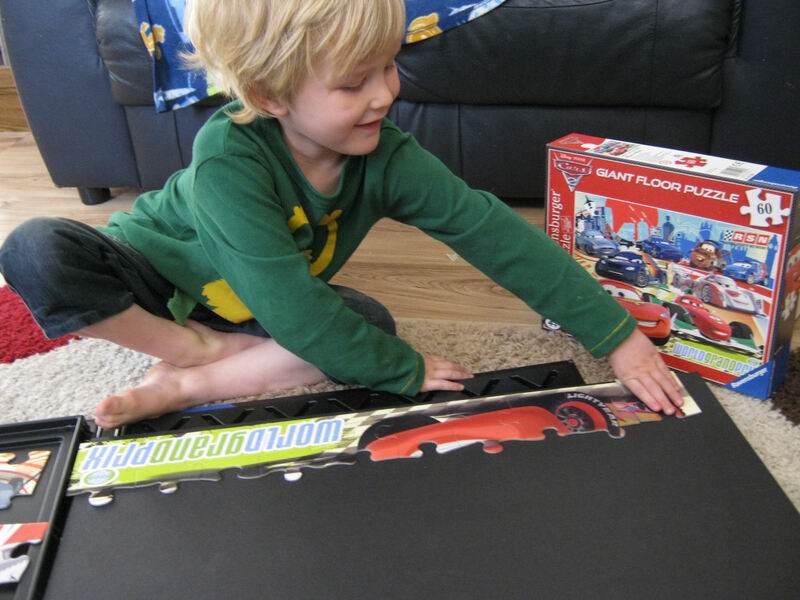 We really love the puzzle store, my eldest is really getting into jigsaws and we often sit down and complete more detailed jigsaws together, and I very nearly purchased a puzzle store a month ago after having to dismantle a half finished jigsaw in order to free up the coffee table again, so the Ravensburger puzzle store couldn't have arrived at a better time, and it is so very useful for anyone who is a puzzle lover, it really does give you the opportunity to sit and do a section of your jigsaw, then pack it away neatly until you want to return to it, without having to leave your puzzle out where it is likely to get knocked and pieces get lost, which has happened many times here. The puzzle store is large, it is 56cm x 76cm when closed, and consists of a puzzle board to complete your jigsaw upon, one half of the puzzle store is a sorting tray, which is segmented into 5 sections so you can easily sort your pieces, and when you fold the puzzle store up the pieces remain in the correct sorted trays. 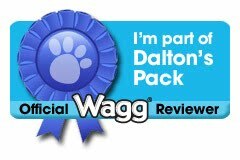 See our video review at the bottom of this post. 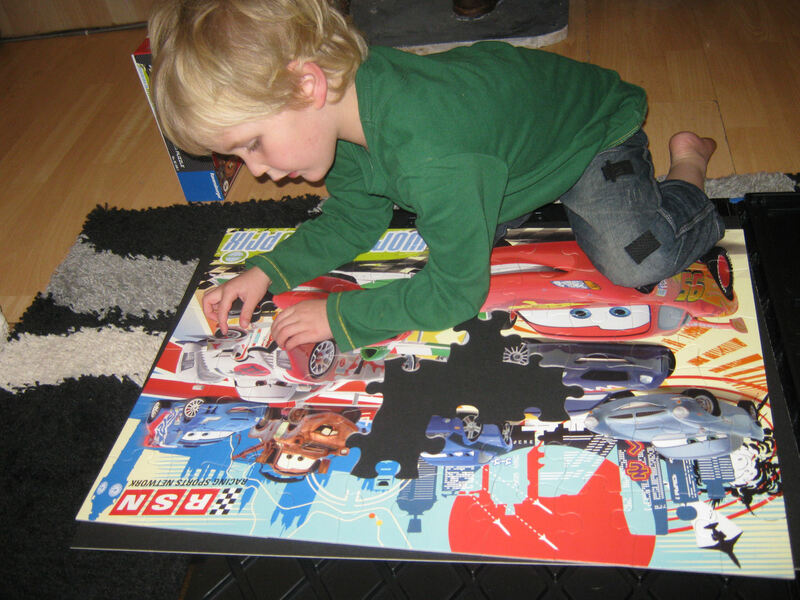 We also received the Disney Pixar Cars Giant floor Puzzle, which is a 69cm x 49cm so fits neatly into the puzzle store, Obviously larger children's Puzzles don't really need a puzzle store, because you tend to complete the whole jigsaw in one go, but my youngest really loves the puzzle board and sorting trays it really does help him to complete the puzzle alone, and has the added benefit of keeping the pieces together, and the puzzle board means he can complete the puzzle even on the rugs and carpet, as the board provided a stable surface which makes fitting the pieces together even easier. The Cars Floor Puzzle is a lovely bright colourful jigsaw which features all the favourite characters from the Disney Pixar movie, there are 60 pieces, which are all a perfect hand size for smaller children and are the great quality you expect from Ravensburger. The age rating on this Puzzle is 4+ my two eldest who are 8 and 9 sat with my youngest who is 4 on the first couple of occasions of completing the puzzle and all enjoyed making it. Now my youngest can complete it alone, which gives him a great sense of pride and achievement. 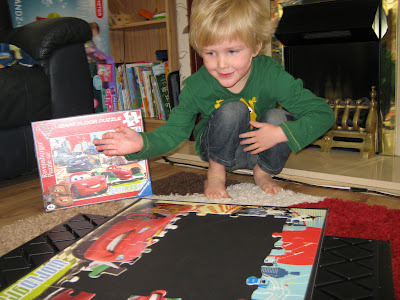 We really loved the Cars Puzzle and would recommend it to anyone, it is a great introduction puzzle for the 4+ age range with its bright familiar characters and easy to fit together hand sized pieces, it is great for introducing the love of jigsaw puzzles! You can purchase the amazing Puzzle store from Argos Currently prized at £24.99 (down from £34.99) here : Puzzle store at Argos.